Finding ways to get to the fountain of youth is something that many people think about on a daily basis. As we age, it is normal for the levels of human growth hormone to drop in our bodies. Instead of growing old gracefully and dealing with all of the signs of aging, you do have the option of Sermorelin injections as an alternative to testosterone boosters in San Diego. This is a path that is safe, effective, and something that will help you to get your health and wellness back on track. Sermorelin injection therapy will give you a way to naturally stimulate the HGH production process is the body. HGH is a hormone that is made naturally in the pituitary gland at the base of the brain and it is responsible for growth and development while we are younger. Once you hit the age of about 30 and onward, your levels of HGH will steadily decline. Instead of simply letting it happen, you can talk with Dr. Joseph Dubroff about your options and whether or not Sermorelin is right for you. By simply making a call to Holistic Solutions, you will be able to come in for a consultation to go over your medical history and the symptoms that you are experiencing. Sermorelin is only available by prescription and you will have the ability to enjoy the attention and guidance of Dr. Dubroff as you embark on your journey to having higher levels of beneficial HGH in your system with a little bit of stimulation for natural production. 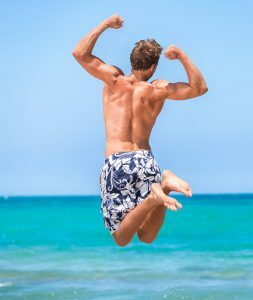 If you are looking to learn more about Sermorelin injections as an alternative to testosterone boosters in San Diego, call Holistic Solutions today at (619)272-2133 for a time to come in for an initial consultation.